Mini-packages and single-game tickets for the 2017 UVA baseball season go on sale Friday through the Virginia Athletics Ticket Office. Season tickets for the William and Mary football team’s upcoming 2015 season are now available for purchase online at TribeAthletics.com or by calling or visiting the Tribe Ticket Office in W&M Hall at 757-221-3340. 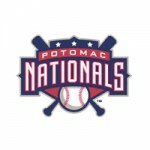 The Potomac Nationals announced today that the club has signed a new stadium founding partnership with F.H. Furr, a leading plumbing, heating, air conditioning and electrical service company headquartered in Manassas, Virginia. 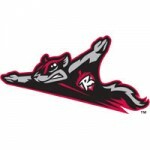 The Lynchburg Hillcats will partner with ESPN Radio for Hillcats’ game broadcasts for the 2015 season. All 140 regular season games, plus any necessary playoff games will be heard on 93.3 FM and 1320 AM. The Richmond Raiders announced that they have signed two defensive backs from last season’s team which led the league in fewest passing yards and touchdowns allowed. The Richmond Raiders are making huge strides in putting together a winner for 2015, having added three veteran linemen for the upcoming season. Season tickets for the 2015 UVA men’s and women’s lacrosse seasons are now on sale. 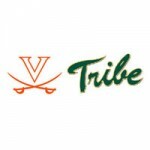 Virginia lacrosse season tickets may be purchased online at VirginiaSports.com. UVA announced its 2015 women’s lacrosse schedule Monday which features eight regular-season home games and includes contests against 10 opponents that played in the 2014 NCAA Tournament. The JMU men’s basketball program will host the nationally-ranked Virginia Cavaliers in the Convocation Center on November 14 at 7 p.m. Season tickets for the 2014-15 UVA men’s basketball season are sold out. The season ticket total of 9,966 surpassed the previous record of 9,105 for the 2007-08 season. The JMU men’s basketball program will host the nationally-ranked UVA Cavaliers in the Convocation Center on November 14 at 7 p.m. Ticket availability will be very limited and access to tickets will be open to men’s basketball season ticket holders and current Duke Club members only. The Richmond Raiders have taken the first step toward putting together the squad that will begin play in the franchise’s sixth season of professional indoor football. Season and single game tickets for the upcoming VMI basketball season will go on sale October 15 at 9 a.m. Season tickets for UVA’s 34-game 2015 home baseball schedule went on sale at 9 a.m. Wednesday (Oct. 1). Definition of insanity: How does UVA not try something different to fill up Scott Stadium? For the third straight game, UVA football drew in the low thirties for a home game, leaving the 44,749 who came out to see the season opener against then-#7 UCLA as the biggest crowd of the season. UVA baseball head coach Brian O’Connor has announced his program’s schedule for the 2015 season. Coming off a trip to the 2014 College World Series Finals, the Cavaliers open their season Feb. 13 with a three-game series at East Carolina. 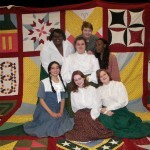 Mary Baldwin College opens its 2014-2015 theatre season with the musical Quilters by Molly Newman and Barbara Damashek. The UVA men’s and women’s basketball programs will hold a Meet the Team event and open house on Sunday, Oct. 5 from 4-5:30 p.m. at John Paul Jones Arena. 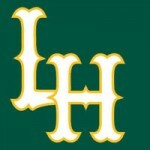 The Lynchburg Hillcats are proud to announce they have signed a four-year Player Development Contract with the Cleveland Indians. The Hillcats will serve as Cleveland’s Advanced-A affiliate through the 2018 season. 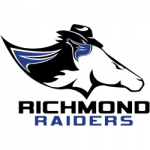 Season tickets for the Richmond Raiders’ 2015 season are now on sale, the team announced today. Season tickets for the Longwood men’s and women’s basketball programs’ 2014-15 seasons are now on sale to the general public at LongwoodLancers.com. 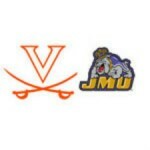 The Virginia athletics department will host Meet the Teams Day at John Paul Jones Arena on Sunday, Aug. 17. Admission for this annual preseason event is free and open to the public. 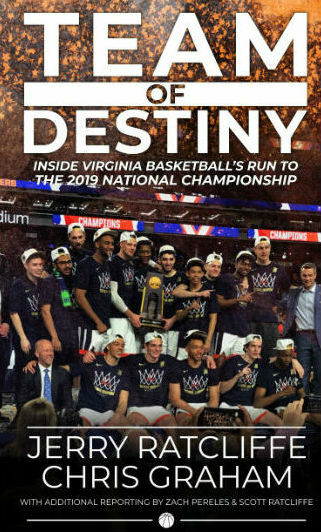 Virginia will make three appearances on ESPN’s ACC Big Monday during the 2014-15 men’s basketball season, the network announced Monday (Aug. 11). Season tickets for 2014-15 UVA women’s basketball home games will be on sale beginning Monday, Aug. 4 at 9 a.m. The UVA football team’s first three practices of the fall will be open to the public. The practices are scheduled for Monday, Aug. 4, Tuesday, Aug. 5 and Wednesday, Aug. 6. ODU athletics announced Friday that football season tickets are sold out for the sixth straight year, however fans still have the ability to purchase Flex Tickets, which provide a ticket to every home game in varied seat locations throughout the stadium. The UVA athletics department will once again hold two popular preseason fan events prior to the start of the 2014 football season. The annual Movie Night at Scott Stadium will take place on Saturday, Aug. 2 and the football program’s Meet the Team Day is set for Sunday, Aug. 17. The UVA women’s soccer team announced its 2014 schedule Thursday, which includes 11 home games at Klöckner Stadium and seven contests against 2013 NCAA Tournament teams. The Richmond Raiders will renew their National Conference rivalry with the Lehigh Valley SteelHawks on Friday, June 6. As part of the announcement of early-season football television selections, the Atlantic Coast Conference announced today start times and broadcast originations for Virginia’s first three games of the 2014 season. Season tickets for 2014-15 UVa. men’s basketball home games will be on sale beginning Wednesday, June 4 at 9 a.m. for customers renewing their tickets and new buyers. Season tickets for UVa. football’s 2014 seven-game home schedule will be on sale for renewals and new buyers beginning Friday, March 7. 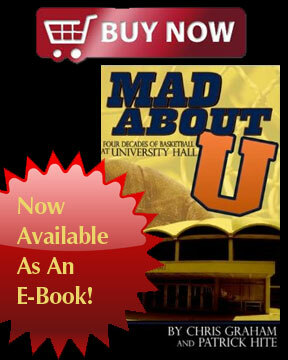 The priority ordering deadline is Friday, April 18. The Tuesday (March 3) UVa.-George Washington baseball game has been postponed because of inclement weather. The game has been rescheduled for Wednesday, April 2 at 5 p.m. at Davenport Field. The Friday (Feb. 28) UVa.-Monmouth baseball game, originally scheduled for 3 p.m., has been postponed. The game now will be played as part of a doubleheader Sunday (March 2) beginning at noon. The UVa.-William & Mary baseball game, originally scheduled for 3 p.m. Tuesday, has been moved to 4 p.m. Wednesday (Feb. 19) because of field conditions. Four members of the Virginia baseball team have been named to Baseball America’s 2014 Preseason All-America Team, released today by the publication. Virginia boasts the most players on the All-America team of any school. For the first time in program history, the Virginia baseball team has earned a No. 1 preseason national ranking, as Baseball America and Perfect Game each have tabbed the Cavaliers atop their polls heading into the 2014 season. Ten-Game Mini-Packages for the 2014 UVa. baseball season go on sale Monday (Jan. 6) through the Virginia Athletics Ticket Office.